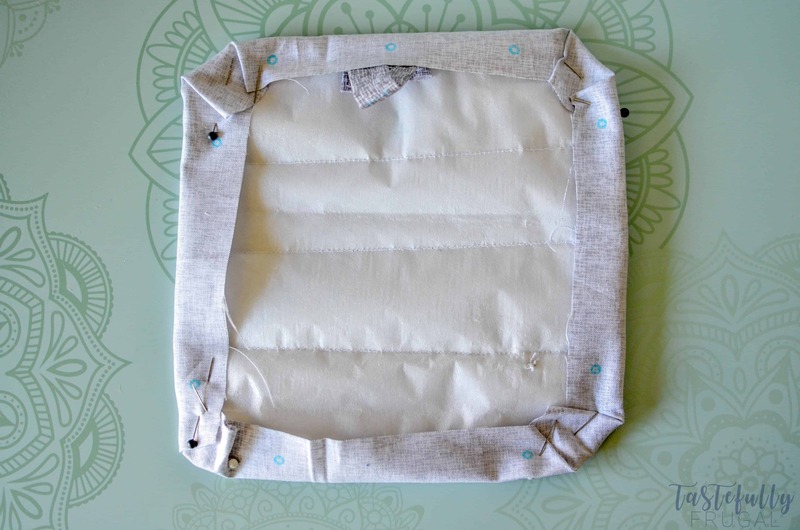 Make your own hot pads in about 30 minutes with your Cricut Maker. 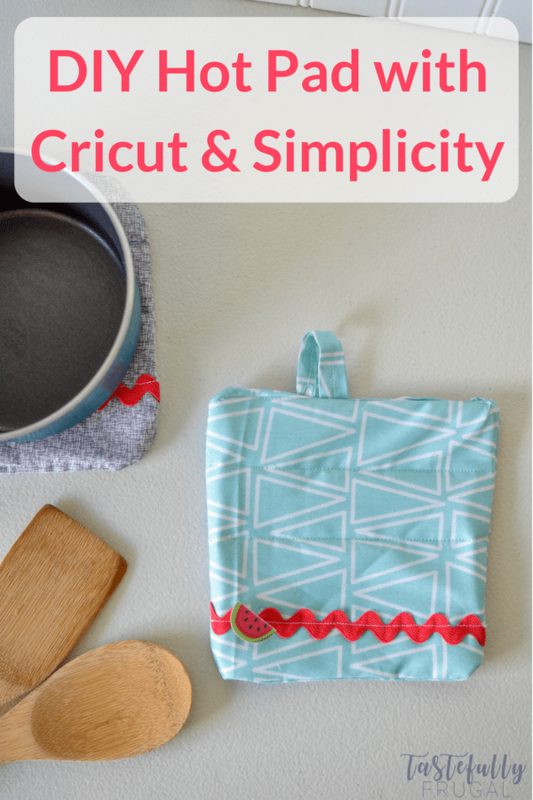 I am loving the Simplicity sewing patterns you can make with your Cricut Maker! They cut quickly, the directions are easy to follow and there are so many cute patterns available! 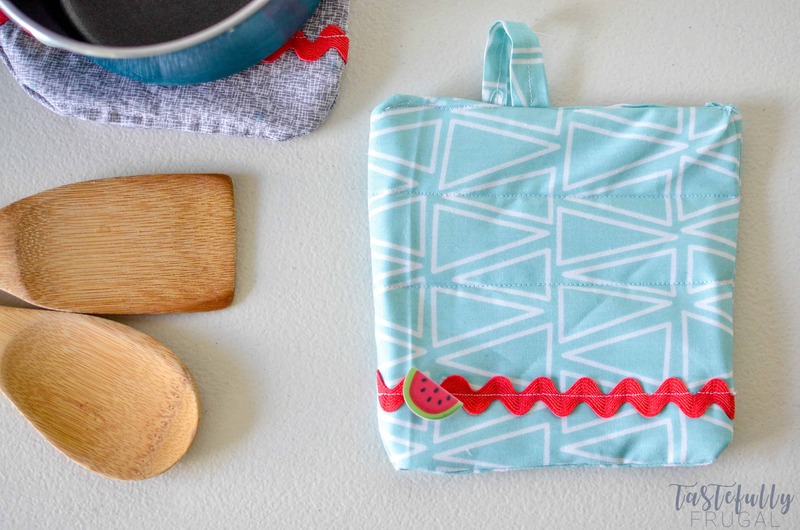 Last week I took a stab at my first sewing project ever – a bike bag and key ring! 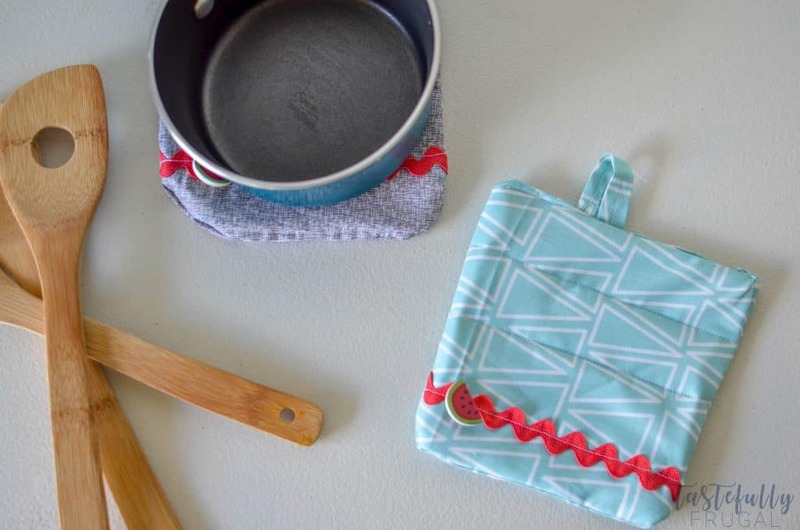 They were so easy to make I decided to try something a little bit harder – these hot pads. Even though they say intermediate, I feel like the pattern was fairly easy to follow. Somehow my loop wasn’t centered (thanks to a screaming baby and sewing at 1am) but other than that I LOVE how these turned out! 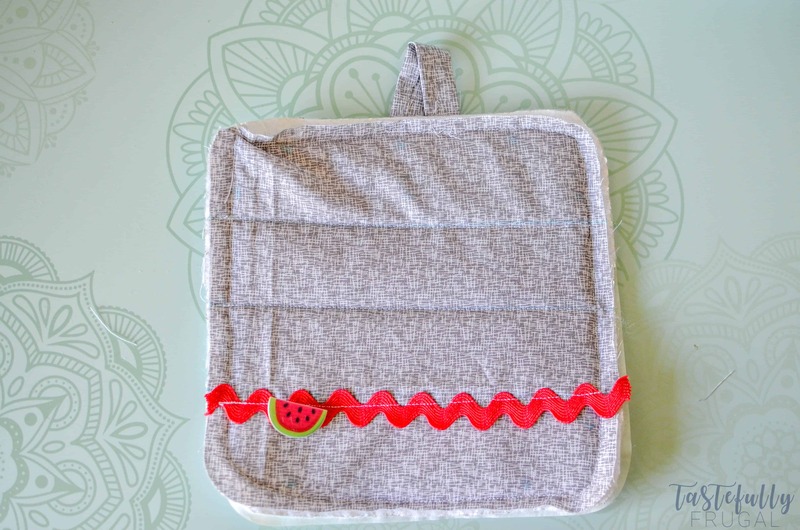 These hot pads are super easy to customize, you can use any fabric and button you like to truly make these hot pads one of a kind. They would even make a great housewarming gift! I like using the Riley Blake fabric samplers from Cricut because the fabric is already cut to 12″ wide, making it even faster to cut! 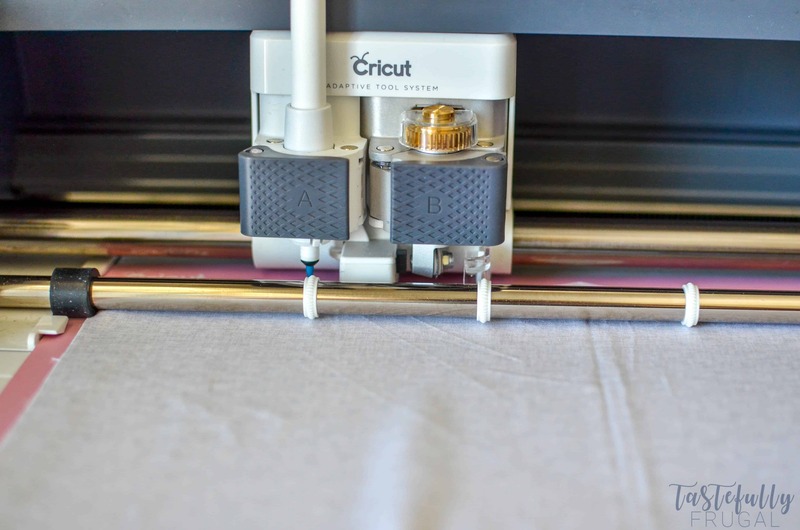 If you use other fabric, the Cricut Self Healing Mat and Rotary Cutter are super helpful with cutting your fabric to size so it will fit your mat. 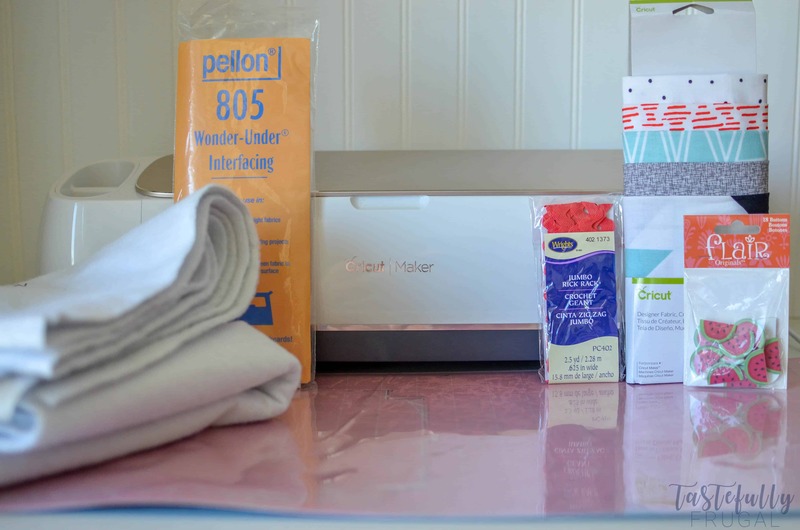 You can see what others tools you may want to make your sewing projects easier here. 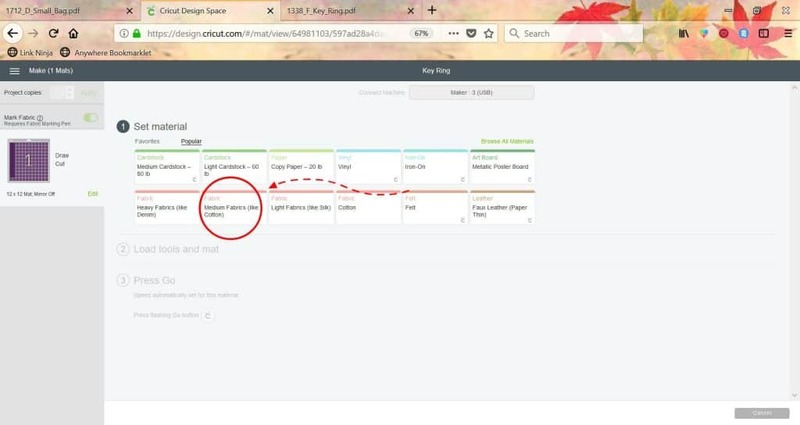 And remember IF YOU’RE BUYING FROM CRICUT.COM, MAKE SURE TO USE CODE TFRUGAL TO SAVE 10% AND SCORE FREE SHIPPING. Open up the pot holder project in Design Space here. 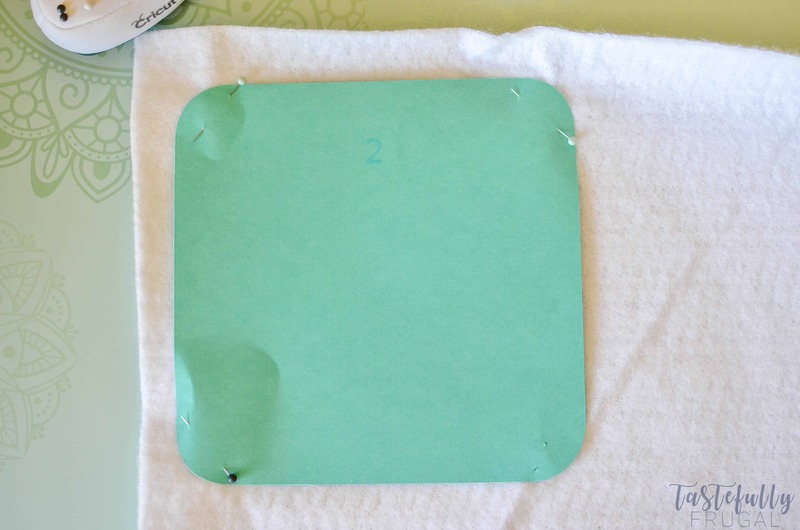 Load your fabric pattern side down onto your cutting mat and make sure you have your Cricut Fabric Marker in the A clamp and your rotary blade in the B clamp. Select Medium Fabric (like cotton) from the materials and send to cut. Cut all pieces according to instructions in design space. If you’re using Insul-Bright, you can skip the first mat (the interlining). Pin your cardstock to the Insul-Bright (or batting) and cut. Pin your Insul-Bright (or batting) to the wrong side of your fabric and sew. Sew along the two stitiching lines on the front of the fabric. Pin your ric rac on the third stitch line and sew through the middle. Sew your button over the ric rac. 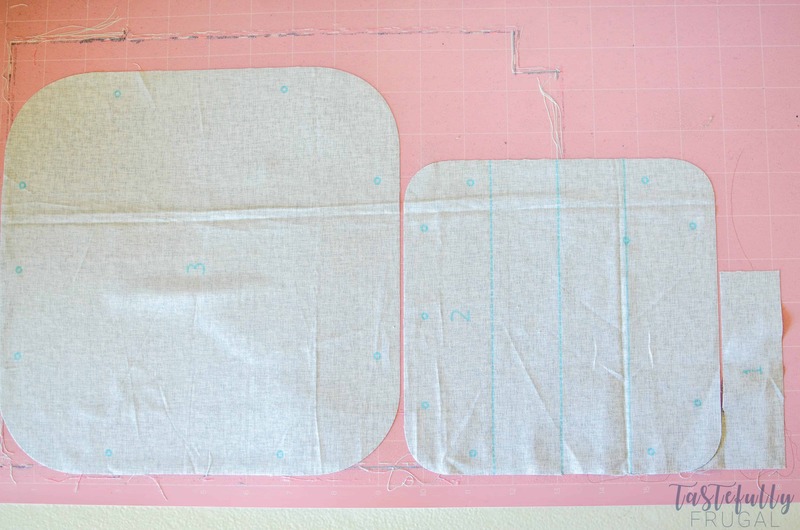 Make your loop by folding the small #1 piece in half lengthwise and using an iron to crease them. Sew together. 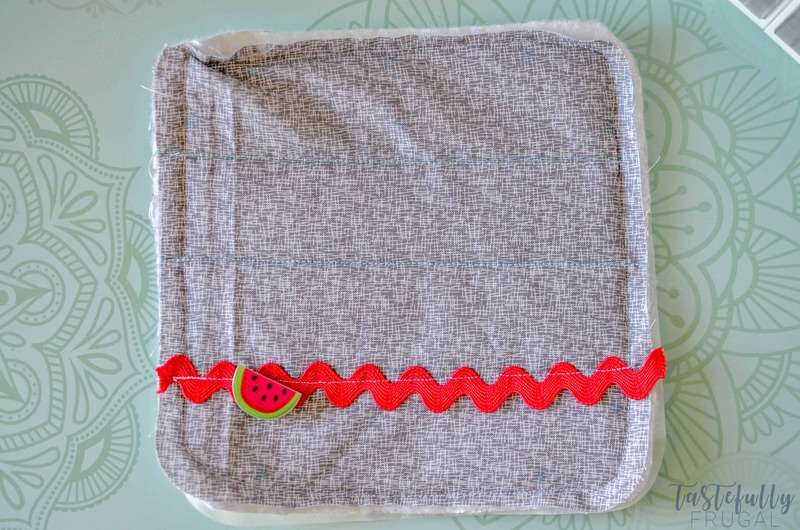 Pin your #3 fabric to the front of your fabric, right sides facing. Sew and leave enough room to turn right side out. Turn right side out and hand stitch your opening closed. I can’t wait to try more of these Simplicity Patterns! What pattern are you most excited to try? !